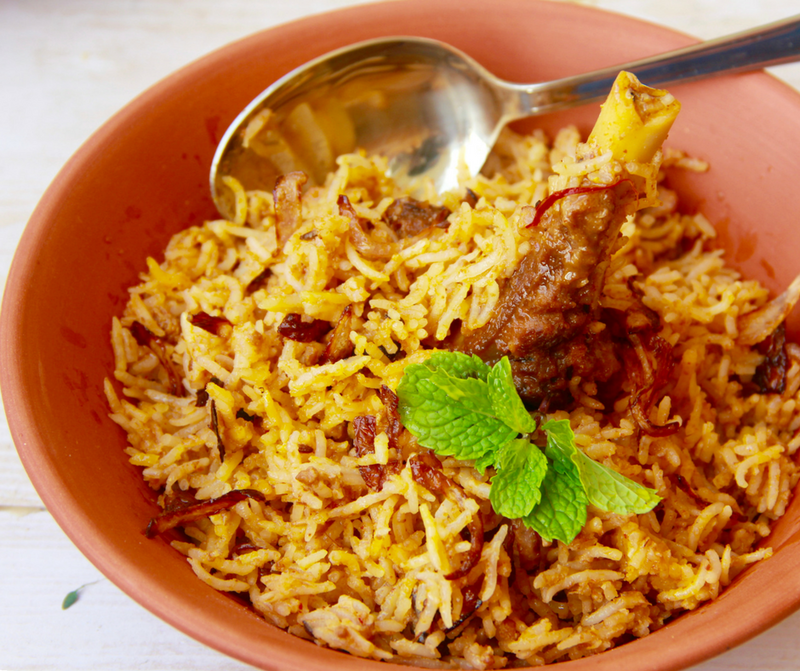 Biryani has many versions in India such as , Hyderabadi Biryani, Malabari Biryani, Dum Biryani, Lucknowi Biryani and so on , made mainly with Chicken or Mutton. Though there are variations of biryani with Fish and Prawns too. 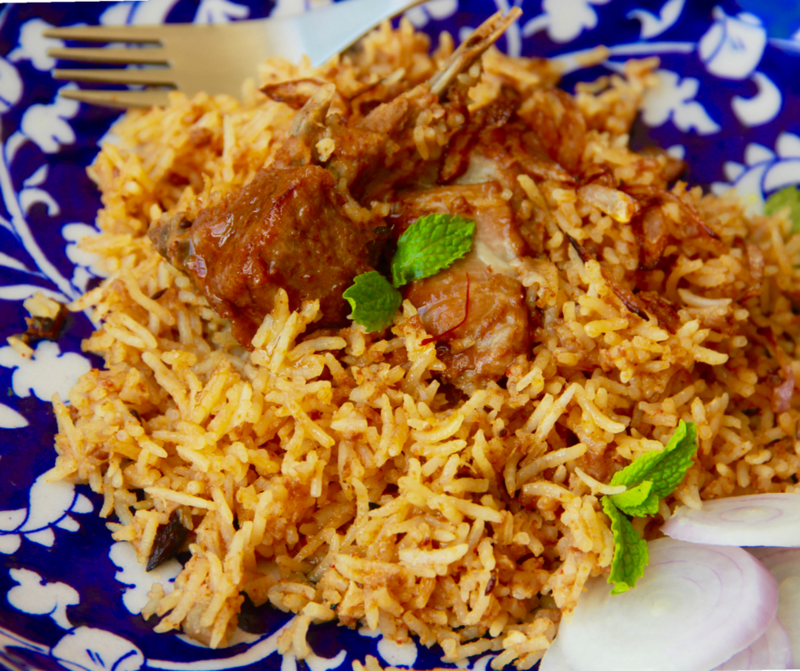 However, my mother’s home made Mutton Biryani will always remain my favourite. As I have mentioned so many times my mom is an excellent cook, and everyone loves her food. My Dad’s senior colleague used to call her “Annapurna” Annapurna is a Goddess in Indian Mythology who provides food. She could cook for any number of people at any time. We have had unannounced guests late in the night and she would cook for them with love and would never complain. Her culinary skills were so famous that even when we would visit our relatives, everyone would want her to cook and she would happily oblige. I guess this is the peril of being a good cook! be warned! This Biryani recipe is her creation. My eldest cousin who was a couple of year younger to mom liked minced mutton Biryani as he wanted meat in each bite uniformly. Whereas , his dad, my eldest uncle, liked Mutton Biryani. So my mother made a Biryani with both. Though my uncle is no more, we have fond memories of him and my cousin. As kids he was our hero , our role model and we still look upto him. This recipe is dedicated to my loving family and the beautiful bond that we share. The most important step in this recipe is to buy good quality mutton. 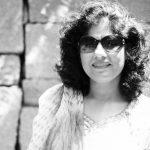 To learn how to buy good mutton read this post. Marinate all the ingredients listed in the marination section for minimum of 2 hours or maximum overnight in the fridge. Soak rice for 1 hour before cooking. Add Mutton and roast on slow flame. it will take almost 30 minutes. Once roasted well the oil will separate. Add onion & garlic masala and roast for another 5 minutes. Drain the water from rice and keep the rice aside. 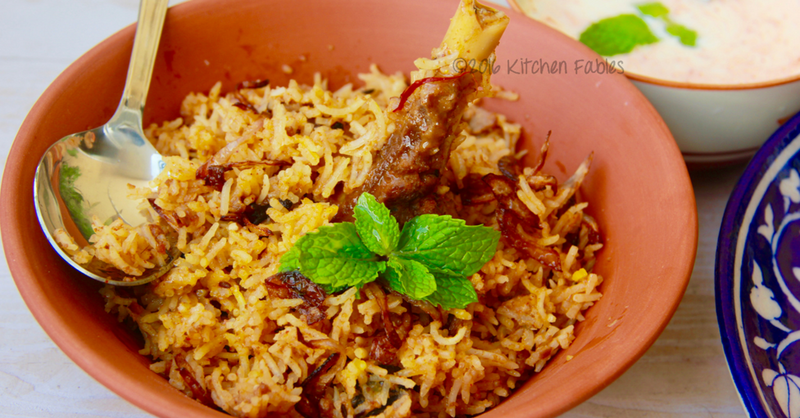 Once mutton is tender, dry and has no water left add rice and stir for 2-3 minutes. Add water , milk , salt and stir. Cover the cooker with a plate and keep stirring gently , as you don't want the rice to break. When there is just enough water to soak the rice left, add saffron soaked in milk & close the pressure cooker. Switch off the flame when the whistle is just about to blow. leave the pressure cooker for 15 minutes and then open. 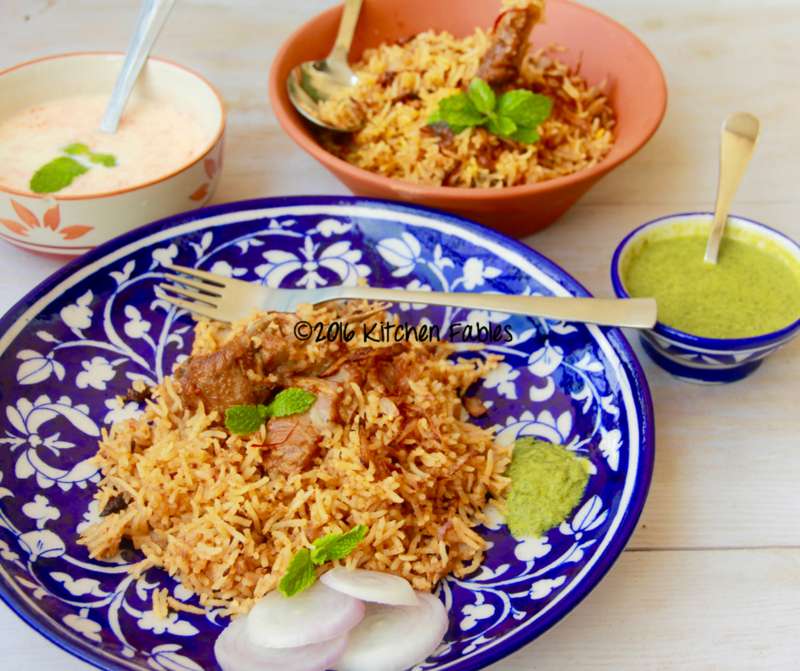 Serve hot Biryani with sliced onions, mint chutney and curd. hi Wanted ask do we marinate the mutton pcs and kheema together. 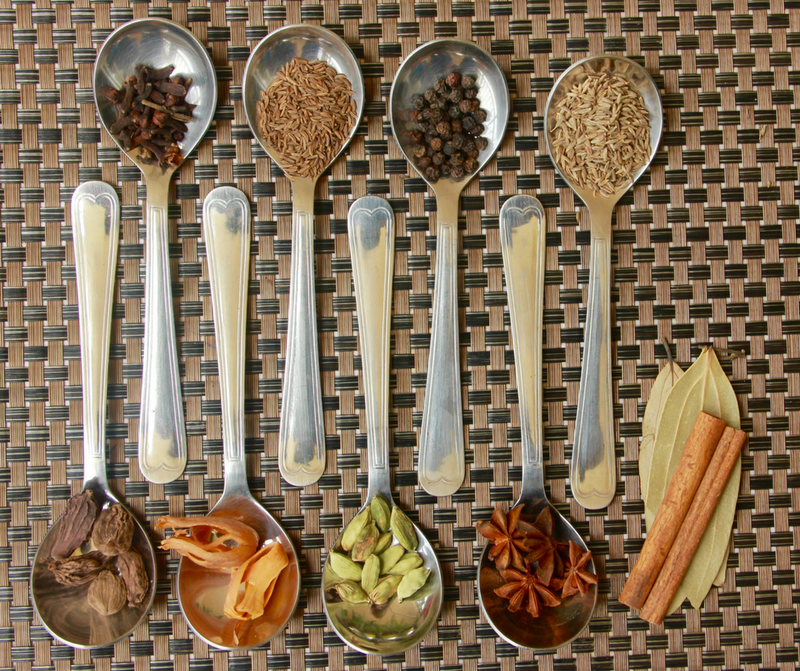 Yes Laxmi marinate both together.